In an attempt to validate the Parental Modeling of Eating Behaviours Scale (PARM), the authors of this study were able to show (once again) that maternal modeling (when mom sits down at the table and eats healthy food with her children) makes a big difference to young children. 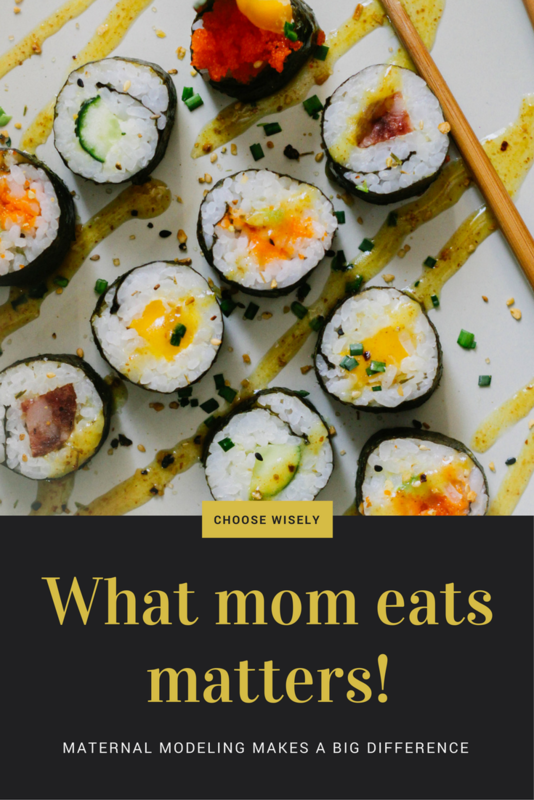 The children in the study were 2- to 6-years-old and showed a significant increase in the enjoyment of their food and decreased food fussiness when they had maternal modeling. Parental modelling of eating behaviours: observational validation of the Parental Modelling of Eating Behaviours scale (PARM). Appetite: 2015 Mar;86:31-7 Palfreyman Z., Haycraft E., Meyer C.
What action will I take? I’m always trying to model desired eating behaviors and food choices. This data just adds to my motivation to continue. It is most difficult right now when baby’s feedings don’t always align with the rest of the family. I’m hoping as he begins to eat more solid foods, it will be easier to ease away from on-demand feeding to eating on a schedule with the rest of the family. I just hate it when I know I should be sitting down with my 3-year-old to eat snacks but I end up having to change baby’s diaper, then go let the dog out, then make a bottle for baby, then go let the dog in, then the doorbell rings… You know how it goes. For an introduction to this blog series, click here.